Eureka! I’ve Discovered the Value of a Volunteer! I read an article recently about the generous surprise gift bequeathed to a Detroit museum from the estate of a 19 year volunteer. While the incredibly benevolent support of her organization speaks volumes, the tone of the article made me wonder how this volunteer would have been remembered (beyond the staff that obviously cared about her) had she not given such a sizable donation. And exactly how much does a volunteer have to give before the fundraising arm of our charities becomes giddy? We all know our volunteers regularly donate money and goods, which seems to now be a trendy topic among the fund-raising gurus who gleefully point to these stories as if they’ve discovered a whole new vein of gold. But again, how much do volunteers have to give in order to be smiled at and afforded that extra bit of silky attention normally reserved for the donor crowd? Is it $1,000, $10,000, $24,999 or more? Will $50,000 pressure upper management into inviting a volunteer to an exclusive luncheon? Will $27,856 make the organization really, sincerely interested in the wonderful work that volunteer is doing? 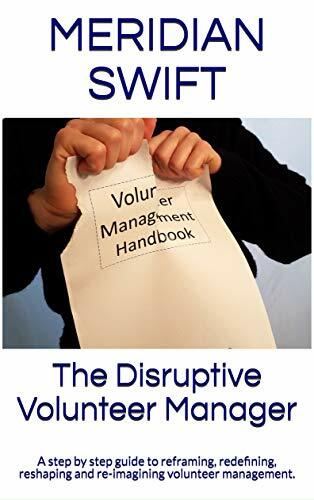 That way, at a glance, everyone in the organization can see the worth of that volunteer. Now granted, those, like volunteer Mary above, who are not giving very much may be relegated to the nameless rabble heap, but hey, at least some of our volunteers will achieve recognition. And so, when volunteer Imani holds the hand of that distraught client and gently dries flowing tears while staying that extra two hours until family members arrive, her pledged gift of $14,000 might just get some notice. After all, it’s all about the money, er work, isn’t it? Meridian, you nailed it againâ¦Thank you for summing up my thoughts so eloquently. If you received this email in error, please let us know and destroy it immediately. No no – the badge should say the value of the hours they have donated, to show how much the organization has saved by not having to hire paid staff to do that work! 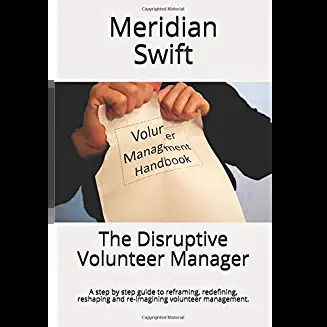 Come on, Meridian, don’t you read the CNS and Points of Light Foundation and Independent Sector studies about the value of volunteers?!? I do and I agree wholeheartedly, but I’m seeing a disturbing amount of fund raising advice that targets volunteers as a new source of revenue and I sarcastically took that to it’s absurd conclusion. Your response is exactly what I’m hoping to see-but from CEO’s and organizational management who realize the value of a volunteer is not in what dollars can be squeezed out of them. Love this, Meridian! But we’d need some protection for them. In our bizarre gun-totting country, putting a planned giving number on volunteer name badges might make a volunteer more valuable to an organization dead than alive! That’s the beauty of money — it doesn’t come with brains and mouths, just spending power. Volunteers, on the other hand, are fussy enough to want to actually take part in the process. Deep sigh. Thank you Susan, loved your response! Could not have said it any better! Too sad Meridian, that our worlds are so focused on economic values. Even volunteers can be labelled ‘social capital’. Let’s be hearing more about the values of humanity……. Thanks Eileen and Sue. It looks like volunteer managers have a great deal of uphill work to do, but together we can make inroads and help not only ourselves, but future volunteer managers.